Ignoring as an alternative to Brawl! You ignore someone – Reason? Someone ignores you – Reason? 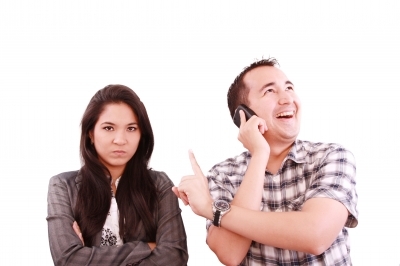 When ignoring is the best way to handle problematic situation? Problems between husband and wife. Bullies it the work place or in society. Silence can be a person’s loudest cry. You know you have really hurt someone when they start ignoring you. It is worse than saying anything bad to you and is even worse than rebuking you. In other words, the feeling of being ignored is extremely disturbing. When you are ignoring someone continuously, you are teaching him/her to live without you which is bad as you are creating a gap between yourself and the person whom you are ignoring, this may never be filled. If anybody is ignored, it is very difficult for him/her to compromise with that idea. They will always wish that they could ignore the fact that they are being ignored. A person may get a feeling of rather being said that they don’t like him/her instead of being ignored. Thus, one must never ignore anybody as it is very damaging and a worse feeling for the person who is being ignored. Sometimes you ignore people not because you are mad at them but it may mean that they are not really important and worth your time. This is totally another way of thinking and worth resorting to at times. If you want to break a relationship, you start ignoring a person by all means which is needed depending on person to person and the situation. You must let go those people who are ignoring you and your presence because you are not worth their time. But when someone is continuously ignoring you, it is better to forget about him/her. Some people hurt you by words, some by their actions and some people hurt you by being silent. One gets hurt the maximum when someone ignores him/her even after they value that person the most. If you care for somebody and that person ignores you, is the worse feeling and one gets hurt the maximum due to this and is unable to tolerate the fact of being ignored. When a person is ignored, he/she will start thinking that he wish he could ignore the person in return. Yet it may be very difficult. Ignoring the signs is a good way to end up at the wrong destination. This means that if someone shows you the signs of being ignored by him/her, you should be prepared that you are in for a surprise and for something which you probably never wanted. Thus, it is said that ignoring the signs is a best way to end up at the wrong destination. If you ignore the milestones, it is not going to help you as you don’t know where you are going or heading to. One example which comes to mind is totally different. Robert Browning’s saying in one of his poems highlights optimism. It goes “Take back the hope you gave, I claim, only a memory of the same”. Thus, you can ignore someone but can never change the memories that person brought into your life. If someone is ignoring you, the best thing to do it to end the relationship and not to disturb them again .If you continue to approach that person and if he/she continues to ignore you then you should never go back to them as you are ultimately hurting yourself which should be realized as soon as possible. This entry was posted in Personality development and tagged Break a Relationship, creating a gap between yourself, depending on person to person and the situation, Face, Idea, Ignoring, Ignoring as an alternative to Brawl, necessary not to ignore such situations, Problems between husband and wife, vice versa. Bookmark the permalink.